This is an original oil on canvas measuring width 61 cm Height 91cm or width 24ins x height 36 inches, canvas depth 4cm or 1.5ins. It is unframed, signed and comes with a certificate of authenticity. 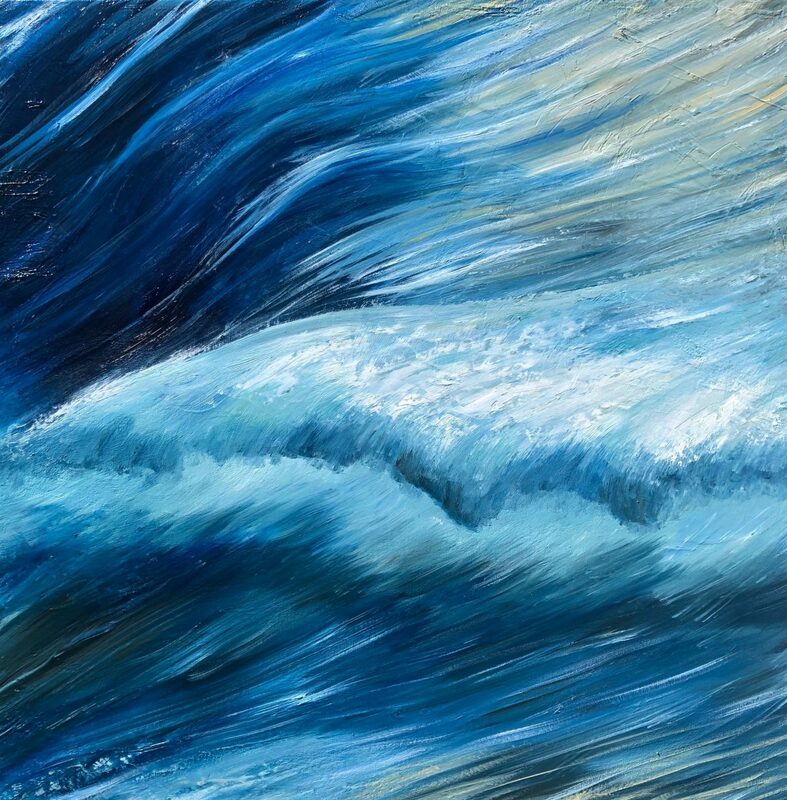 “Emerald Surf” is inspired by the North Devon Coastline and those who take on giant waves there. For inspiration I take photos of waves, sketch on the beach. But also look at other photographers work on surfing and surfing video as a start to a new painting. Once the painting process begins it evolves almost by itself guiding me one way or another. Colours can alter over time the end result can be not what I initially expected. That’s part of the joy of applying the paint with happy accidents occurring through this process. It is the light coming through the waves and ever-changing colour of the sea that I am keen to explore. I like to work in oils because of their versatility. You can layer the paint so that it has a translucency. It is so robust a medium I can scrape the paint back or scratch into it too. 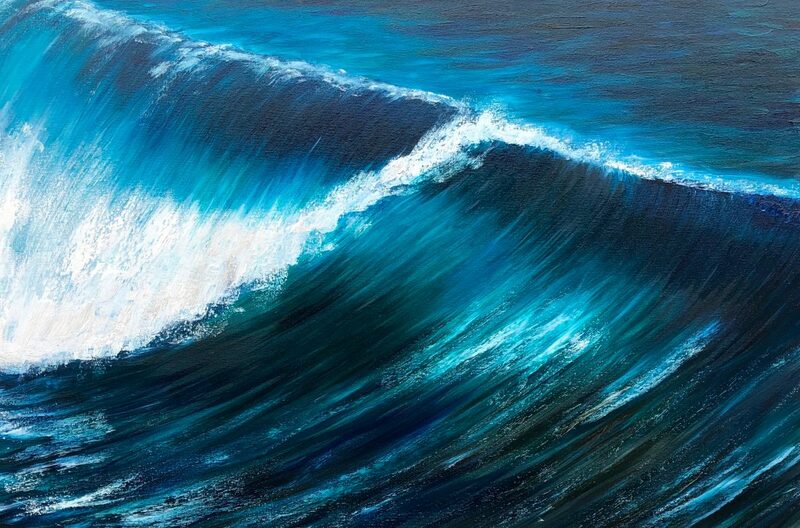 Emerald Surf is another in my series of wave paintings which I started 5 years ago and numbering 48. I have recently been given ambassador artist status for the UNESCO Torbay Geopark. Available as a limited edition giclee print. There is free postage in the U.K. Please contact me for postage elsewhere. I graduated with a BA (Hons) in Fine Art in 2008 at the University of Plymouth. I have exhibited my paintings throughout Devon and gained an award at the Exeter Short Film festival. My films and photographs have been exhibited on the South Bank, London and in Italy.